Outfitted in snug caps and down jackets, the volunteers gathered at Seattle’s Dearborn Park Elementary to reflect on Martin Luther King Jr.’s life, the importance of service and community, and the value of maintaining safe sidewalks for students, before setting out to restore the school’s Walking School Bus routes. Several volunteers from Seattle Children’s Hospital cited King’s commitment to service as a source of inspiration for the day’s mission. Dearborn Park Principal Angela Sheffey Bogan was motivated by the second-term inauguration of America’s first African-American president, the live footage of which she’d watched with her family that morning. Another volunteer watched video of King’s “I Have a Dream” with his son the night before. All agreed that joining altruistic forces to make the school’s sidewalks clean and safe was a fitting way to honor the civil rights hero (and masterful marcher) on this eponymous national holiday. 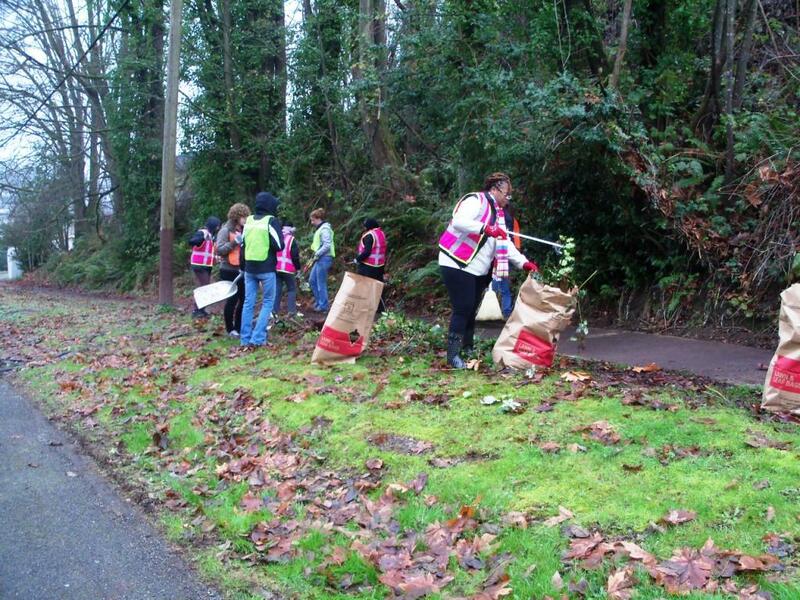 Volunteers split into groups in order to tackle five neglected sidewalks. These stretches of concrete, on the north and south ends of the Beacon Hill neighborhood elementary school, were steadily surrendering to the tangle of weeds, ivy and litter that’d been creeping over its surface since the city installed the sidewalks five years ago. For the students treading these walkways every Wednesday as part of the school’s Walking School Bus, the leafy debris and vine-like weeds were an eyesore and a safety hazard. 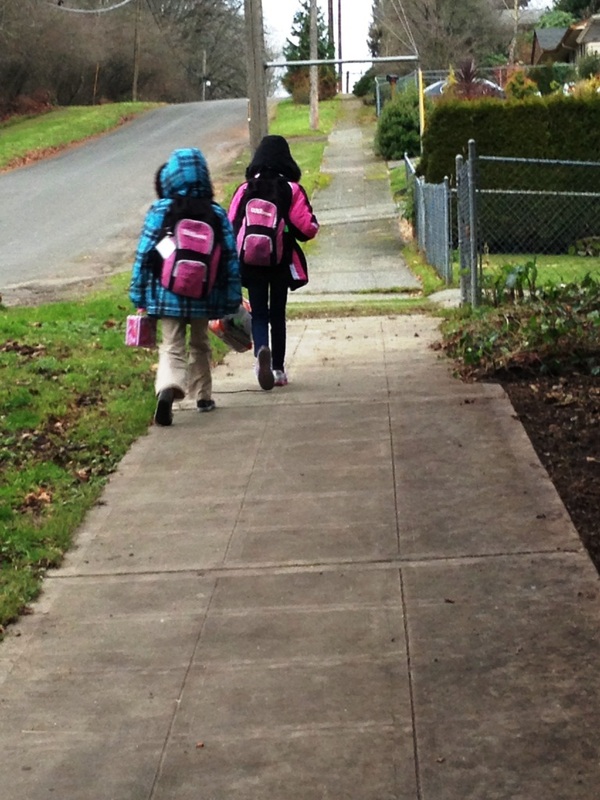 Dearborn Park Elementary is one of four Seattle schools currently participating in a Safe Routes to School (SRTS) initiative supported by Feet First. Principal Bogan, a frequent Walking School Bus “driver,” recognizes the incalculable importance of the weekly tradition. 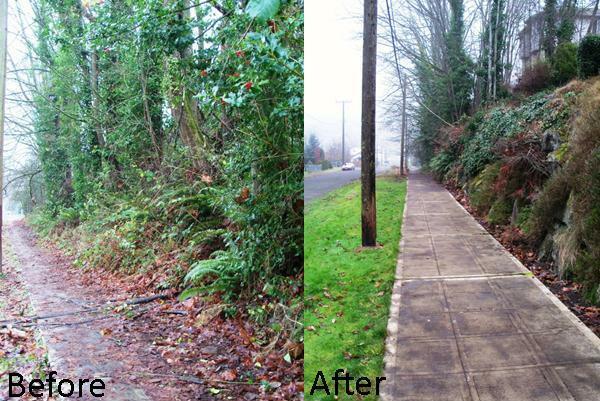 “The value of having a safe and clean sidewalk for my students is immeasurable,” Bogan stressed. Wielding rakes, loppers, and, in some cases, machetes, volunteers set to work. They swept rain-soaked leaves into tidy piles, trimmed low-hanging branches and encroaching English Ivy, and removed thorny Himalayan Blackberry canes. AmeriCorps member Gordon Padelford and Feet First Volunteer Coordinator Darcy Edmunds offered tips on tool-handling (rakes down, shears down, gloves on). 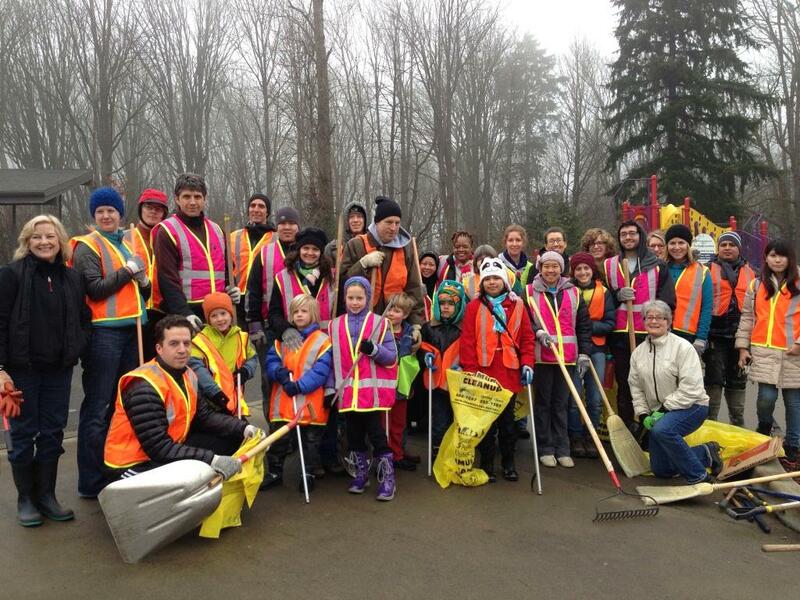 Younger volunteers, some who “ride” the Dearborn Walking School Bus, scoured the ground for litter and used litter pickers to lift bottle caps and candy wrappers with a sense of duty that belied their youth. One neighbor came out and applauded the group as they cleared the sidewalk near an empty lot. 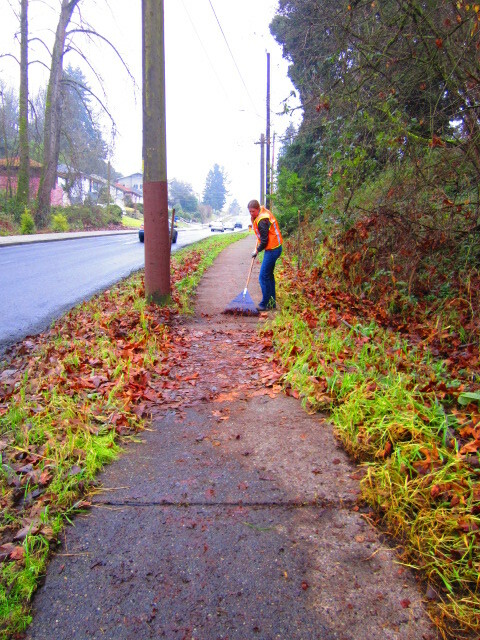 The stalwart group worked with systematic efficiency until, just a few short hours later, the sidewalks, once slick with leaves and overgrowth, gleamed in all their walkable, gray glory.